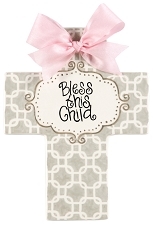 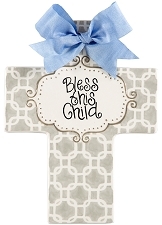 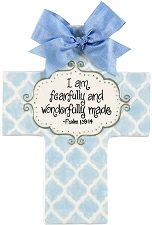 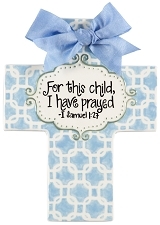 These hand painted crosses make the perfect gift for Christening, Baptism, Baby Shower, Wedding, house warming, or other occasion. 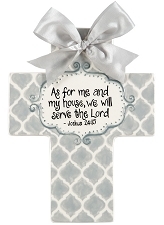 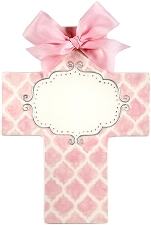 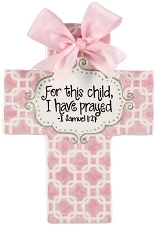 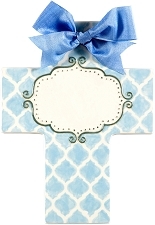 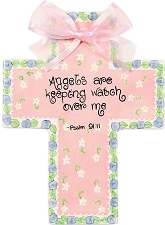 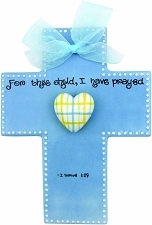 Crosses are 10” inches tall and include an organza or satin ribbon. 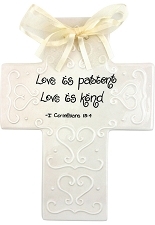 Lead-free paints and glazes.